Hi Friends! Who else has the winter blues? I’ve gotta say that I am not a winter lover. Give me spring, summer and sunshine and I’m a happy girl. So with this unusual cold snap we’ve been experiencing in the midwest I’ve been craving spring. 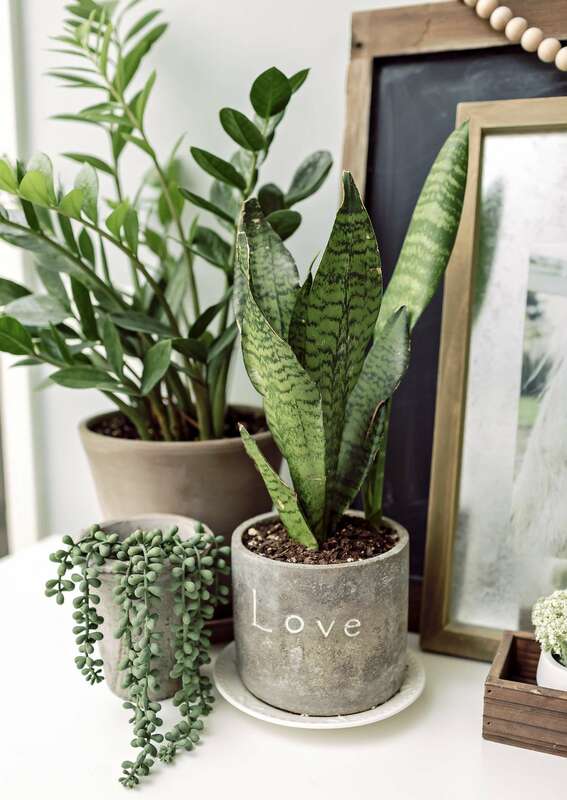 And the easiest way to bring the spring indoors during winter is with faux stems, plants, topiaries and the pretty vessels to store them in. 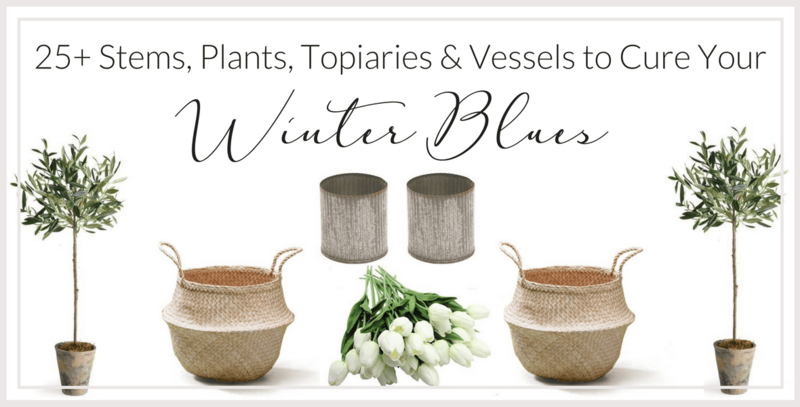 I’ve rounded up 25+ stems, plants, topiaries and vessels for you this winter to help beat back those winter blues. 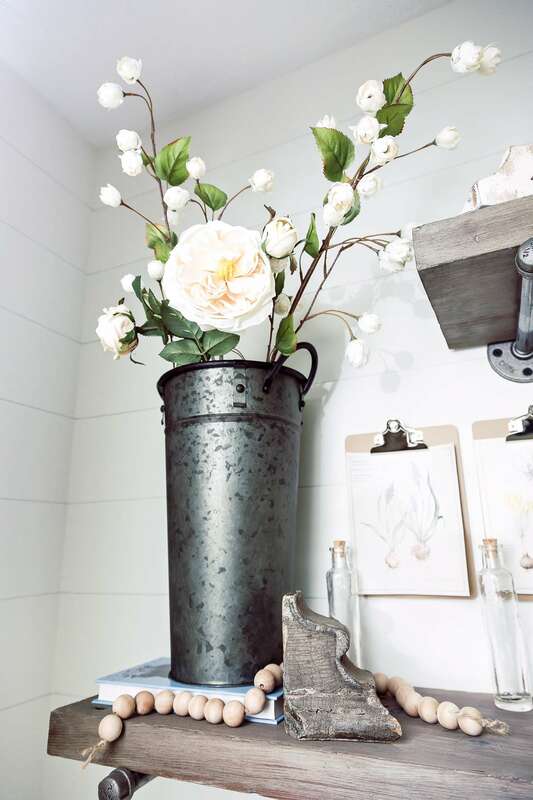 There is no need for a green thumb with these realistic faux florals so don’t be shy! Simply click the link that corresponds to the number of the beauty you’re eyeing below. Happy Spring my friends (yes…I am dreaming)! 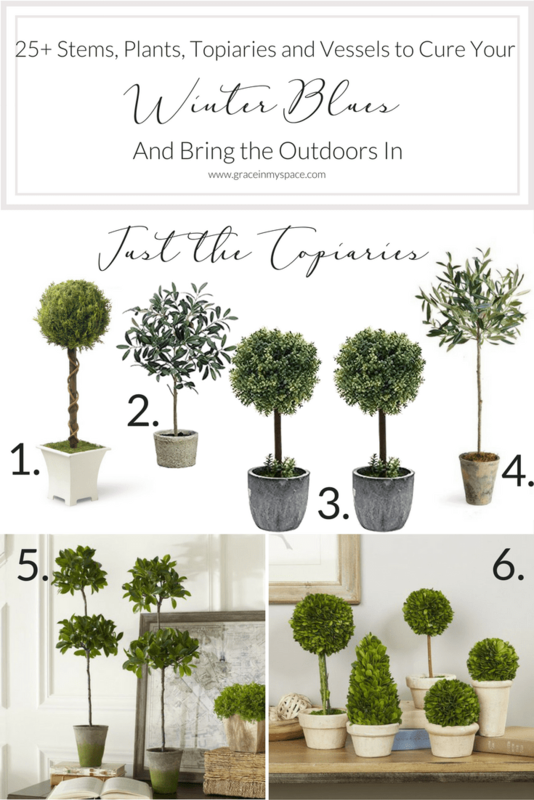 And just because I know you love fiddle leaf figs, but may not want to deal with the live one I linked above, here are my favorite sources for faux fiddle leafs! Just click the image to be taken directly to the source. 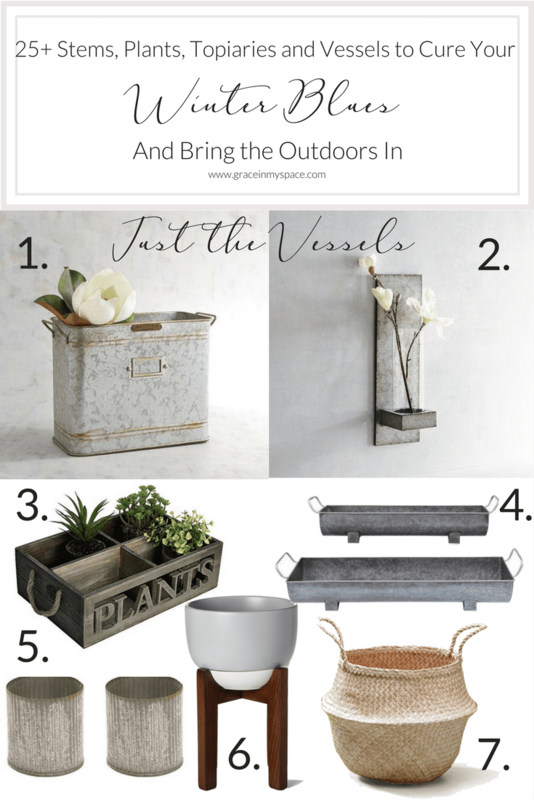 Not into the faux plant scene? 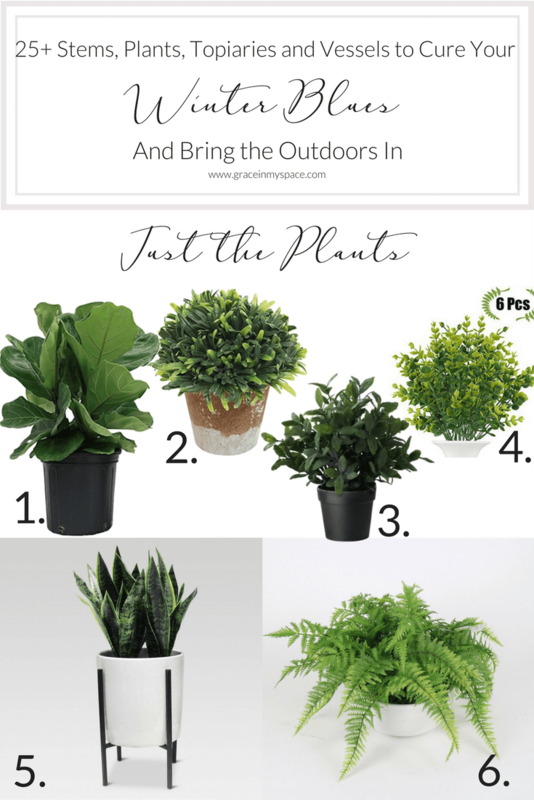 Even if you’re a self-proclaimed plant murderer, I can’t resist sharing a past post where I talk all about the easiest indoor plants for a black thumb! 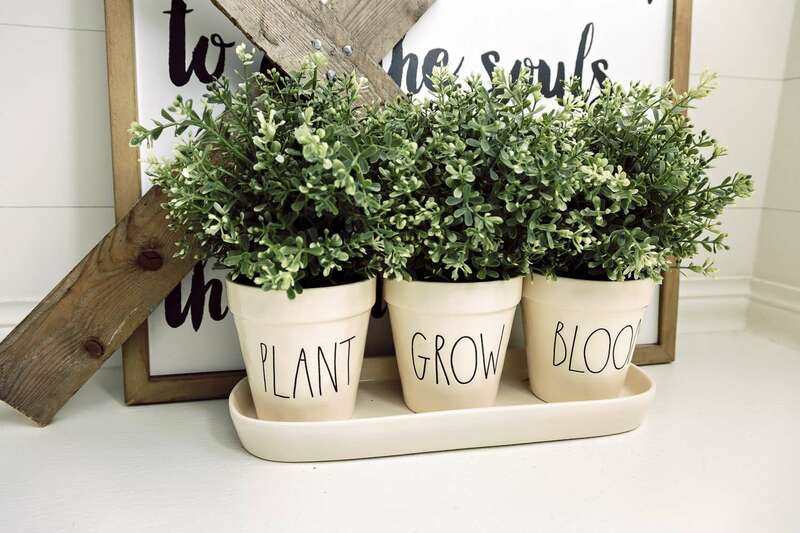 These babies have been tried and tested by yours truly…the woman who has killed every (supposedly easy care) succulent known to man. 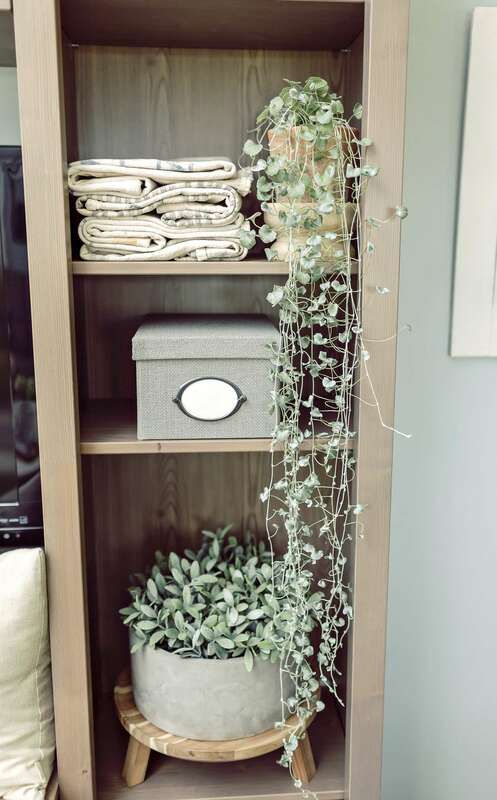 😉 So if you’re up for a little live greenery then make sure to check out my recommendation for easy care indoor plants. So there you have it! 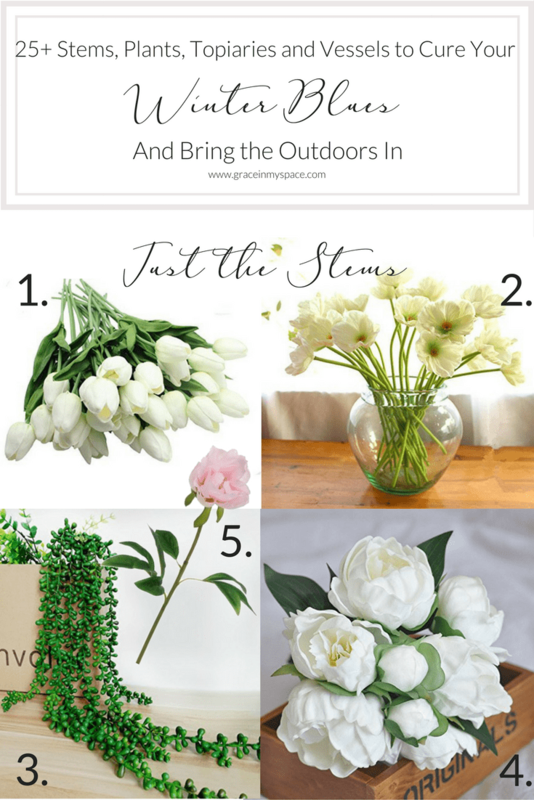 I hope that spring invades your home and brings a smile to your face! Leave me a comment below about what you’re looking forward to about spring! We all need a little sunshine and you are mine! Did you know that all my subscribers have access to my free printable library and DIY templates?! Make sure to follow along for the inside scoop on coupon deals, DIY projects and to get your free printables! 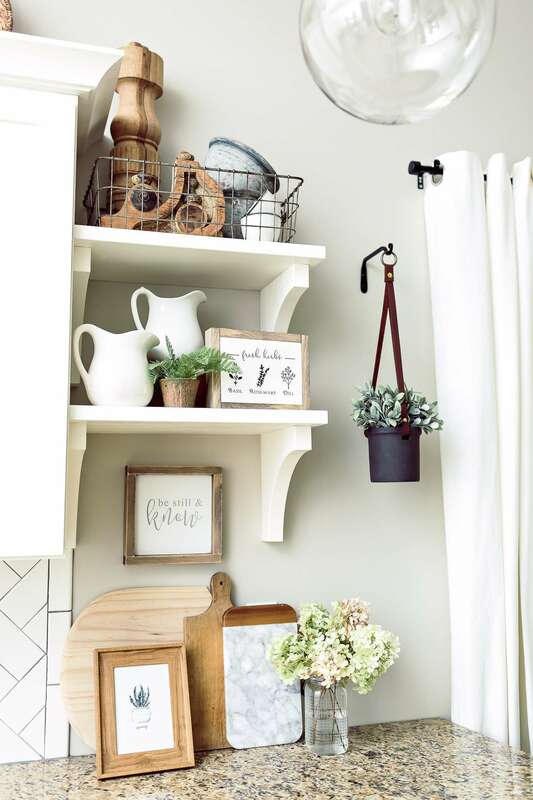 DIY Curtain Rods Under $20 | Up to 20 Feet! Favorite thing about spring would be hearing the birds chirp, sunshine, trees getting their leaves and watching my kids play baseball/softball! Thank you Becky! I always struggled too. Pothos has been a very successful and low maintenance live plant for me!